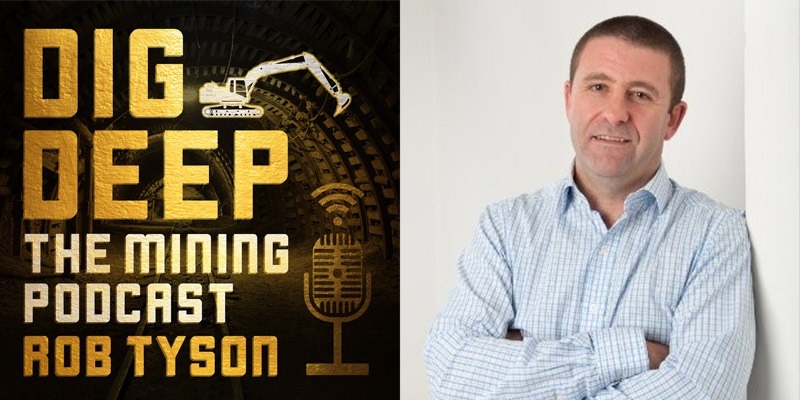 Launched by Rob Tyson, Dig Deep – The Mining Podcast has been created for the mining industry. New episodes are published regularly – the remit of the podcast is to discuss, educate and talk about industry news and hot topics, company reviews and interviews with mining professionals and leading figures in the mining industry. Rob Tyson, an experienced mining recruiter/head-hunter with over 10 years in the mining industry, is the founder and director of Mining International Ltd, a leading recruitment and headhunting agency based in the UK specialising in mining across the global. We source and discover new talent to fill those difficult or challenging vacancies our clients have. Previous topics on the podcast have included what it takes to be a leader in mining, getting your dream job, looking at the opportunities and challenges in the African mining industry, and finding finance for your projects.